Retain – A – Wall, your only choice for Retaining Walls and Concrete products. We specialize in the manufacturing of all our products as well as the supply and installation of them. 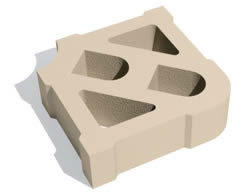 Kwa-Zulu Natal Terracrete hard lawn paving block licensee for Terraforce. Retain – A – Wall, specialising in quality concrete products since 1988.